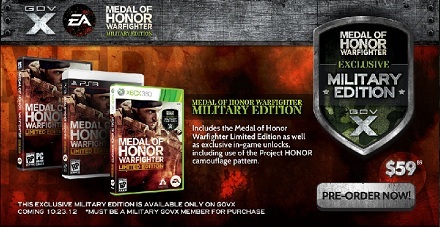 For 160 Microsoft points, or 2 dollars, Activision is offering a line of in-game weaponry personalization packs for Black Ops II. These packs include a new weapon skin, three optics reticules for the ACOG, EOtech, and Reflex sights, and a themed ‘calling card’. Skins include Dia de los Muertos, Graffiti, Jungle Warfare, and Bacon (seen above); if you’re wondering, yes, there is a zombie skin. A new trailer from the most impressive looking game featuring the ‘Aliens’ property since ‘Alien vs Predator’ on the Atari Jaguar. Gearbox Software looks to be doing the series proud, and if anything else it looks a lot better than ‘Alien 3’. ‘Aliens: Colonial Marines’ drops February 12th, 2012. 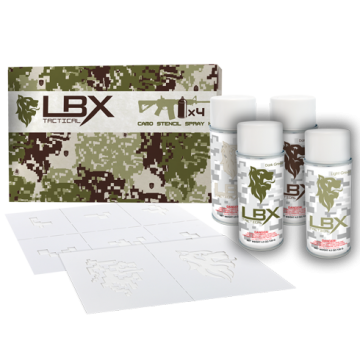 Digital Concealment Systems, creator of the A-TACS family of camouflage patterns have signed a deal with Activision that includes the use of said camo patterns, currently A-TACS AU and A-TACS FG, in the just-released-today Call of Duty: Black Ops II. 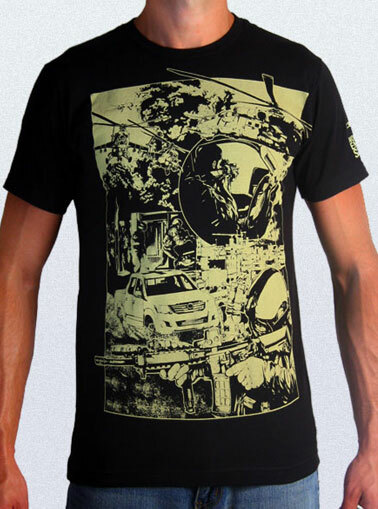 A-TACS is present in Black Ops II in the form of “…a playable option and integrated throughout different levels of the epic game.” This is most apparent in its use as an in-game gun camouflage. Spartan Ops is essentially a second campaign for ‘Halo 4’ that delivers new missions and cinematic episodes on a weekly basis. Halo 4 drops November 6th. The DELTA SiX is an attempt to make the perfect FPS game controller. Designed to closely mimic an actual firearm, it features an accelerometer and kickback to simulate aiming movement and firing while a removable magazine simulates actual reloading. An ergonomic design places the face buttons along the grip for easy access, and a chin activation placed on top of the controller, behind the optional scope attachment, activates the in-game ADS (aim down sight). Other optional attachments include a grenade launcher and suppressor. The controller will be compatible with Xbox 360, PS3, PC, and Wii U, with plans to produce models for any next gen game consoles. In the year 2025, there’s huge assault walker drones, wrist-mounted grappling hooks, flight packs with wings take the place of parachutes, and special forces still use MultiCam. 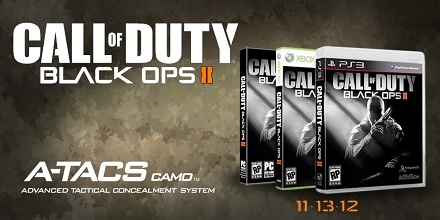 Black Ops 2 drops November 13th. 1) This is an amazing fan film based on an amazing property! 2) Why is Gordon Freeman talking? Anyway, it’s no ‘Half-Life 2: Episode 3’, but it’s definitely worth watching. The reveal trailer for zombies mode in the upcoming CoD: Black Ops 2 just came out today. Personally, I would have waited to release this until Halloween rolled around, but then again I’m also not a member of the marketing team for a billion dollar game franchise. I didn’t think WETA could top their previous gift to the fine folks at Valve, a replica of the engineer’s turret from Team Fortress 2. 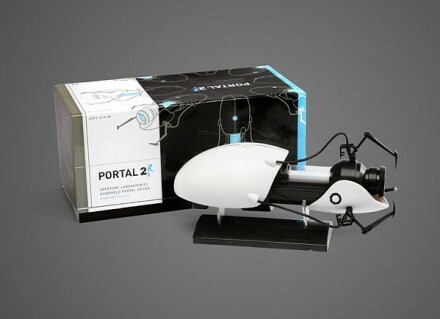 Then, they sent a replica of the turret from Portal, and I was proven wrong. Features motion tracking, deployable guns, and in-game sound effects and voice clips. Intensafire is a company that specializes in modified Xbox 360 and PS3 controllers. Among their product line, they have an impressive looking line of camouflage 360 pads, seen above is A-TACS and MultiCam. They also have Realtree, digital woodland, digital desert, digital winter, and red tiger stripe. Available for purchase from Intensafire. 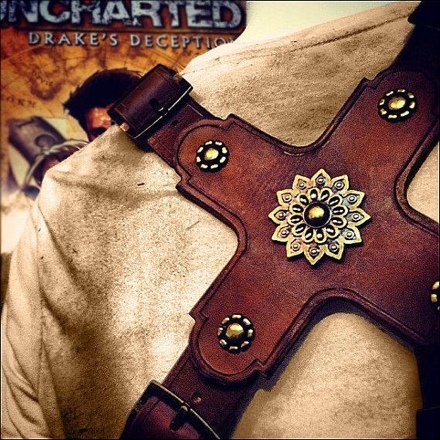 Master leathersmith David Vigil has crafted this impressive gun holster for Vigilante Leather, inspired by the one used by Nathan Drake in the PS3-exclusive ‘Uncharted 3: Drake’s Deception’. The design closely matches the in-game model in both metalwork and the dye job used to treat the leather; a model dyed in black with gunmetal-colored metalwork is also available upon request. 8 buckles, 2 to each strap, allow for easy fitting, with an option for custom fitting if required. Additionally, every holster is waterproofed and stress tested, insuring full functionality in any situation. Simply put, it’s a piece that’s usable for way more than just cosplay. Available in limited quantities from David Vigil on Etsy. Man, this trailer is showing the best multiplayer for CoD yet! That’s also the same thing I said when I saw the previous multiplayer trailers for every Call of Duty since Modern Warfare 2. Granted, it does look amazing (that’s what trailers are for, after all), and the graphics are looking pretty spiffy, but I already know I’ll like the game for roughly a month, then only jump on it occasionally until the next CoD is announced and released. It’s a vicious cycle, I know. Then again, future weapons and killstreaks and a reworked create-a-class system could prove me wrong. Black Ops II drops November 13, 2012. This project by ‘A.F. 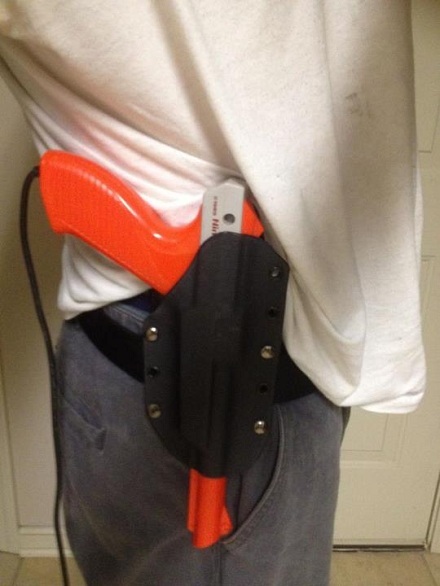 275 – Gun & Gear Blog’ is clearly the coolest non-licensed Nintendo accessory ever, a Kydex holster for the old-school Nintendo Zapper accessory. Stylish and quick on the draw to boot! Too bad it doesn’t give you the ability to shoot that damn taunting dog (in the Nintendo version, at least; at the arcade, however…). Thanks to Dnine for the tip. As far as a mindless action video game based on a mindless action movie this one actually looks pretty decent, and it’s a downloadable title which means it’ll be pretty cheap to boot. The Expendables 2 Video Game drops July 31st (PSN), August 17 (Xbox Live and PC). So, David S. Goyer wrote the story and Trent Reznor did the music for Black Ops 2, huh? That’s pretty exciting news! Oh, there’s also some cinematic shots and explosions and future technology and whatnot. Call of Duty 2 drops November 13th, 2012. 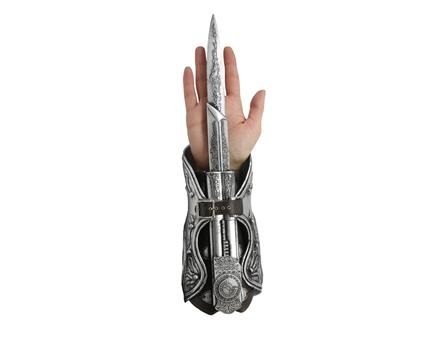 NECA is releasing a replica of the hidden blade as used by Ezio Auditore da Firenze in the Assassin’s Creed series of video games. Made of PVC and ABS plastics, it’s highly detailed with a surprisingly quick spring loaded action that launches the roughly 15″ plastic blade with the push of a button; a safety lock mechanism helps to prevent any unwarranted deployments of said blade. An adjustable buckle and Velcro straps keep the replica secure on the user’s wrist. It’s available exclusively through GameStop and will be released October 30th of this year. There’s also a video the pre-order site, so you can see it in action. Tactical Fanboy loves the video games of Valve. 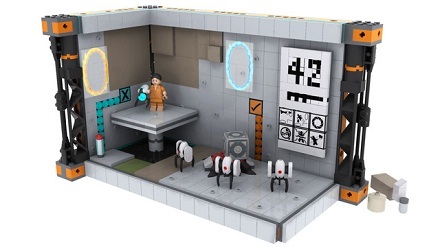 So, when the chance to have a LEGO set, or three, made that’s based on the brilliant and justifiably popular ‘Portal’ series of games, we’re totally behind the effort. Using LEGO CUUSOO, where an idea and 10,000 supporters can turn almost any project into an official LEGO set (with 1% of net profits going to the creators), Brickthing has introduced 3 unique designs for LEGO sets based on ‘Portal’: GLaDOS’ Chamber, Modular Testing Chamber, and Portal Puzzle Board Game. The project’s only about 3,000 votes away from becoming reality, so chances are good it’ll be made. This is great news, considering that we already bought the Minecraft set created as a result of CUUSOO. Available from Haley Strategic Partners, LLC., this black t-shirt features imagery based on the ‘Black Powder \\ Red Earth property’ on the front of the shirt, back of the shirt, and left sleeve. Made from 100% cotton.